Editor's Note: This article was originally published in 2017 and has been updated to reflect recent changes in the Facebook Advertising platform and best practices. Facebook advertising is one of the most popular paid media options available today, with 93% of social marketers using it due to the ease of use and variety of options. But, are all of those people using the platform correctly? Like all aspects of digital marketing, the best practices for successful Facebook advertising are ever changing. No marketer is immune to making mistakes, let alone in an area that is so dynamic. It is important for marketers to set up and use Facebook advertising correctly (or not use it at all if they can’t). By taking short cuts, not using best practices or keeping up with algorithm changes, and poorly executing your ads, you run the risk of wasting your money, not getting the results you are looking for, and most importantly, losing opportunities with potential customers. As organic reach on Facebook continues to rapidly decline and ad impressions continue to increase , the competition is steep for marketers to keep up by ensuring ads are engaging and relevant. Hootsuite’s Global State of Digital Report (2018) states 24.2% of Facebook Pages are using paid media, and that number is expected to grow. Businesses of all sizes have the ability to achieve their goals using Facebook advertising, if it is used correctly. 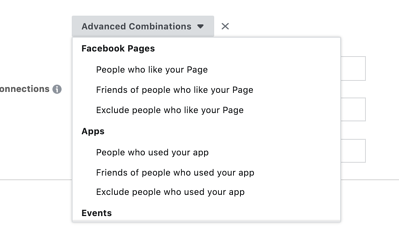 Before we jump into the mistakes people make with Facebook advertising, allow me to break down the elements of a Facebook Ad. If you’re planning to do any paid advertising on Facebook, the first step should generally be to determine your ad objective for the campaign you are running. This should be documented in the holistic marketing campaign strategy you are building and will help to ensure that your marketing and advertising efforts are not operating in silos. For example, if conversions are your top business objective, your Ad objective needs to align with that. Once you’ve identified your objective, the next step is to determine your ad targeting and strategy. This includes elements such as Audience, Placements, Budget and Schedule. As a best practice, we recommend focusing on a niche audience, being strategic about placements, and monitoring your budget and schedule regularly. The decisions you make in the ad setup phase will set the tone for how broad or narrow your budget is and in what time frame you will see results from your ads. It is easy to use broad strokes, a general budget, and a “set it and forget it” mentality… but to say you would be wasting your money and not get the best possible results would be an understatement. The last step is the actual ad creation. Here, you’ll build out your ad’s format, create any media assets, and develop any additional creative utilized within the ad. What you use will vary based on the type of ad you are implementing. The more complex the ad is, the more advanced functionality you will want to take into consideration. With this in mind, let’s take a look at the top 11 Facebook ad mistakes you could be making and how you can avoid making them in the future. Being strategic is a mental game. This means having mental awareness around specific key performance indicators and being able to explore multiple angles on how to achieve your high priority objectives as will as the mini goals that fall under each. Although advertising is often a quick way to boost website traffic, conversions, and in some cases, immediate sales (hello eCommerce), the reality is that the best approach to Facebook advertising is to see it as a marathon, not a sprint. "They're still using Facebook ads as a standalone channel for one-off promotions and sales, instead of what they should be doing -- looking Facebook ads as a full-funnel solution." It’s hard to develop a holistic Facebook Ads Strategy if you don’t understand your Ad objective. As I explained earlier, setting your marketing objective is the very first step when creating a Facebook Ad. With so many different options to choose from, how can you be sure you select the right one? Consider your end-goal. What do you want the Facebook user to do? Learn more about your brand, visit your website, convert on an offer? Determining what you want the end-goal for the ad to be will help you choose which ad objective you need. Choosing the wrong objective will not only send you down the wrong path in the Ad Manager, but will ultimately result in you spending money on something you didn’t really want. 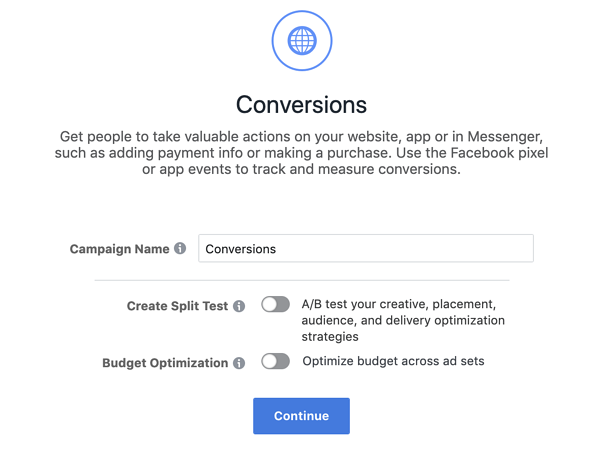 Facebook makes it easy for you to choose an objective right in the Facebook Ads interface. Choose from a variety of options in three categories - awareness, consideration and conversion (decision). Tracking and reporting are essential parts of any marketing strategy. How else are you going to be able to prove that what you are doing to drive opportunity to your business is working? In plain English, a pixel is a way to track interactions that are happening with your Ad all the way back to your website, using analytics. We love proving ROI when it comes to digital marketing -- but it’s not always easy to do. 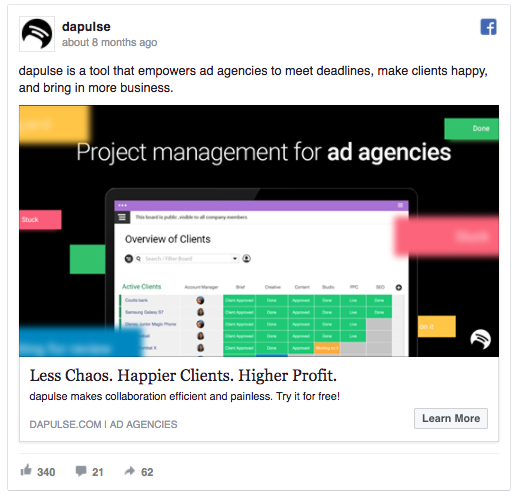 The use of Facebook pixels is critical for closed-loop reporting and the failure to incorporate them is one of the most common mistakes people make when implementing Facebook advertising. 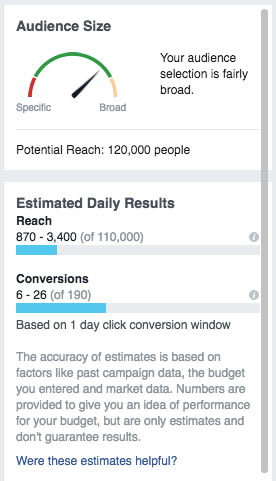 When properly installed, Facebook Ad pixels are an AMAZING way to measure your ad’s effectiveness in driving results, whether your goal is traffic to your website or ticket purchases on EventBrite or another objective we haven’t listed here. From the data you collect using your Facebook pixel, you can learn how your audience engages with you off of the Facebook platform and use that to better deliver ads and continue to sell to them on the platform. 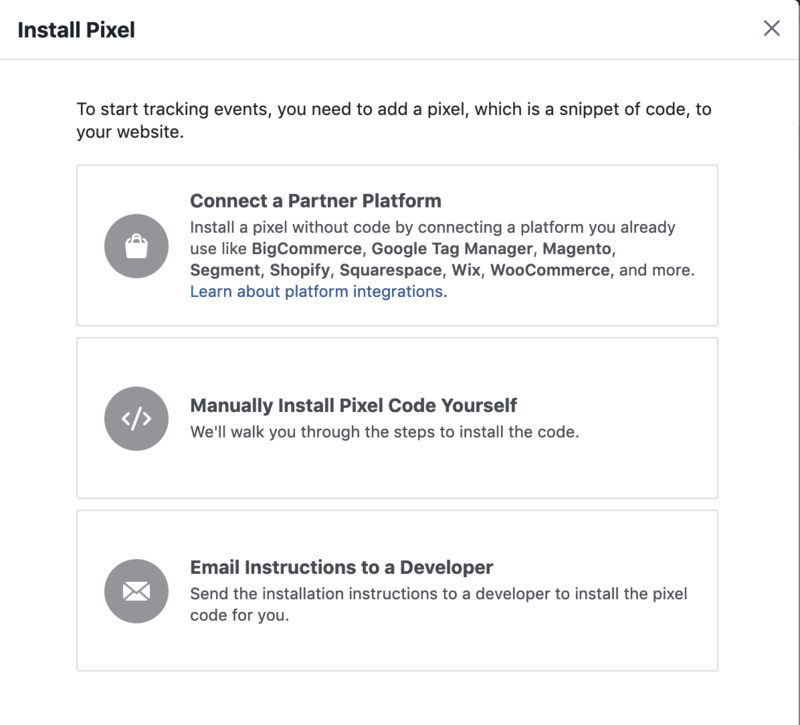 The pixel is a snippet of code that Facebook provides for you right inside of the ads manager, and you can install the code on your website yourself or get a developer involved in doing it for you. If you aren’t using the Facebook pixel yet, start now! You could be missing out on targeting ads to people who have been to your website or have already visited your landing pages but didn’t convert. These users are highly engaged and already familiar with your brand -- and an ad targeted to them will only increase your chance for conversions. With millions of active users on Facebook, the likelihood that organic Facebook posts about your product or service will resonate with your audience is slim. 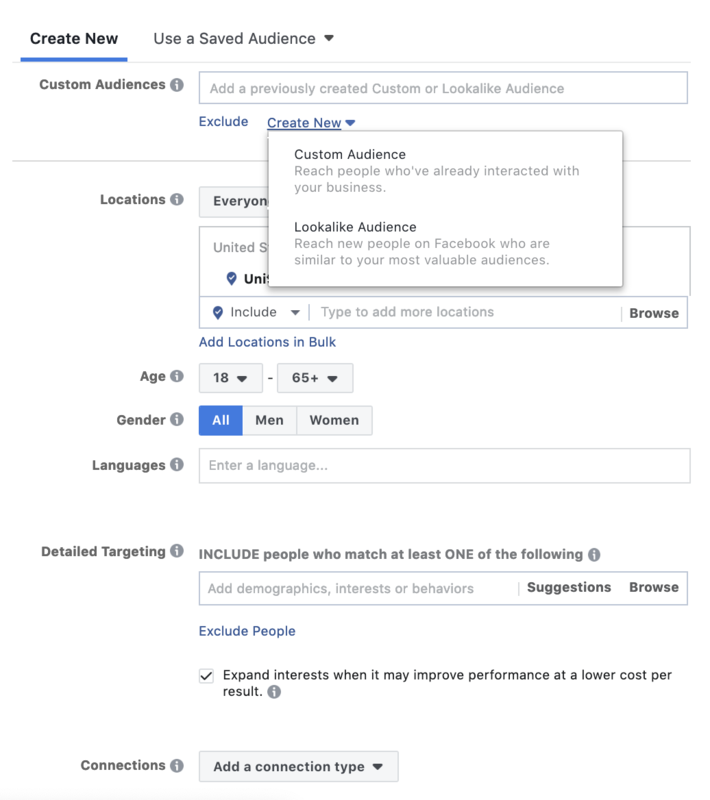 Selecting specific audiences through Facebook’s built-in targeting features will allow you to reach the right type of people. Targeting options include: purchasing behavior, life events, existing contacts, similar or lookalike audiences (to your existing contacts/customers), layered targeting using location, demographics, and behaviors. The best way to create an excellent targeting strategy is to understand your overall target audience and specific buyer personas. One of the biggest mistakes we see is marketers targeting audiences that are too broad, too narrow, or just plain wrong. Here are some ways to address these challenges. When creating your ad, be sure to look at the audience size to see if you ar e targeting too many -- or too few -- people. To do so, look at your potential reach in Facebook. If the ad is set to reach hundreds of thousands or even millions of people, ask yourself if there are realistically that many people out there who would be highly interested in converting on your offer at that very moment. Is the answer no? Then narrow down your audience by selecting additional demographics or interests. 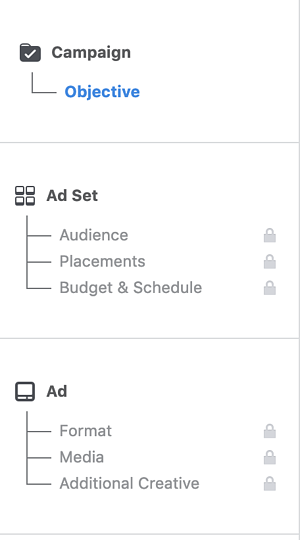 On the flip side, you don’t want to cut down your audience so much that it is too small for Facebook to deliver your ad. You will need to play around with your targeting to get the fit that is just right for you. Luckily, Facebook includes a little dial that shows you when you’re in a safe zone of audience size. This one seems like a no-brainer, but we can’t go any further without mentioning it. Facebook advertising has one of the most robust targeting abilities in the digital world (which is part of what makes it so powerful and effective), yet many users consistently focus on the wrong audience. The cost to advertisers of selecting the wrong audience can be substantial according to AdEspresso, which noted that there can be a 1000% difference in cost per click due to the target audience alone. So, how can you be sure you’re targeting the right individuals? Conduct a customer survey: Find out your current customers’ basic demographics like age, location, gender, purchasing behaviors, lifestyle, job function, etc. This will enable you to get a better glimpse of who your buyers are and improve your audience targeting through Facebook Ad Manager. Utilize Audience Insights: Go above your Page insights and start taking advantage of what Facebook’s Audience Insights has to offer. Here, you can include interests you believe your target audience has to see what other kinds of demographics they then have in common, like education level, pages they “like,” frequency of their Facebook activity, and more. Serving the wrong audience can look like little or no segmentation. Audience segmentation is important when targeting specific steps of the buying journey. Sometimes targeting a broader audience is good at the awareness stage of the buying journey, however if you have properly segmented lists, you can create more hyper-focused LLAs (Lookalike Audiences) which in turn will improve initial results using historical data. A lookalike audience takes an existing contact list (for example, contacts with X job title) and allows you to reach a similar type of audience based on their behavior. For example, if you have a list of customers who have purchased multiple times or spend more than your average customer, you can build a lookalike audience of prospects that exhibit similar traits or behavior. This popular tactic creates strong performing ads, especially for eCommerce. When developing ads, choose a specific objective and audience for each ad set. Many DIY advertisers will often make the mistake of creating one ad, one audience, and one objective and then leave the rest up to algorithms. Once you clearly understand your audience, have your audience segmented, then you can take the next steps to target and retarget current and potential customers. You can control your cost and opportunities by niching down and creating individual segments for each. This may take more time, but your ROI will be much greater. Considering that images are responsible for 75%-90% of ad performance, it’s time to pay closer attention to what visuals you’re using in your Facebook ads. 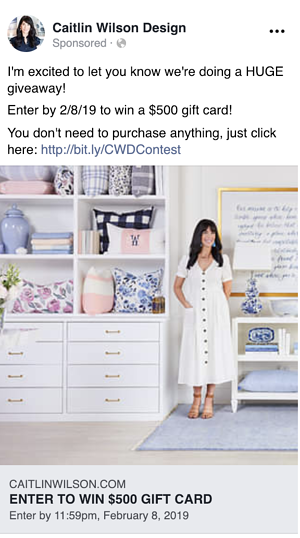 Facebook offers several different ad formats and most have the option to include at least one image. In fact, if you choose a carousel or slideshow ad format, you can include several images to help capture the user’s attention and increase your chance of a click-through or conversion. Research by David Ogilvy concluded images are viewed and absorbed first before any text is read. Not too surprising since images are a great way to catch a reader’s eye as she or he is scrolling through the newsfeed. -- But how do you choose the right image? Remember to always think back to your ad’s offer or purpose. The image should have a clear connection to the offer, product, or service you are promoting. Selecting a random stock photo that doesn’t provide value to the offer is not going to help the delivery of your message, even if it does grab the viewer’s attention. The image you choose should also be clean, with minimal text so as to not distract (like Caitlin Wilson Design’s). Try using a free service, like Canva, to customize your ad images to get better engagement. A 2018 survey from video ad creation platform Promo has revealed 71% of consumers find Facebook video ads relevant or highly relevant. This study shows consumer preference over imagery through metrics such as watch time and thru play. Dropbox does an awesome job of creatively getting their message across about a platform that may initially seem boring in its 16 second video. Have you noticed how videos on Facebook start to auto-play, without sound, as you pause or hover over them when scrolling through your Facebook feed? That’s because Facebook concluded that 80% of people react negatively to both the platform and advertiser when a video automatically plays with sound. In addition, Facebook found that 41% of videos were essentially meaningless without sound, rendering the time, effort, and cost you put into creating the video a huge waste. Instead, design for sound off and caption your videos. Research shows that captioning video ads increases view time by an average of 12%. Facebook realized how important captioning was to their user, so they’ve made it easy with a built-in power editor to auto-caption videos in the self-serve ad creator. Instapage discusses How Closed Captioning Facebook Videos Can Improve Viewership. They were not sure about whether or not closed captioning was necessary, so rather than wonder, they did a two month experiment to see if it was worth the hassle. Average total view time was 5% higher on the variation with captions, and it was watched by 3% more viewers. Average reach of the captioned video was 16% higher than the one without. Reactions to the video were also higher on the version with captions, by more than 17% on average. Average shares dropped when captions were removed, by nearly 15%. Average video views were a little lower without captions, by about 4% — but 10-second video views were significantly lower — nearly 18%. CTA clicks fell by 26% when captions were removed. As the Instapage example shows, captioning videos can have a dramatic impact on Facebook ad performance. After your video ad has run, make sure you are measuring the proper metrics to ensure you are reaching your goals and have a better understanding when you need to adjust your ad. Metrics such as thru play and video watch time will help you determine at what point people are dropping off in the ad and which videos are resonating the entire way through. Overall, Facebook analytics show much higher interaction and engagement when using video versus any other ad format. Don’t have the budget for video? PRO TIP: Use images to create create slideshow ads in Facebook The slideshow format helps to create an animated effect that anyone can create, even if you don't have the budget for a professionally-produced video. Wait, you have to have a budget for video? If you haven’t considered video as a part of your Facebook advertising efforts, now is the time to reconsider. Many people think headlines are the easiest part of the ad to create. You simply state what your offer is, right? Create your headline in a way that explains how your audience will benefit from your product or service and entices them to click through and learn more about your offer. You can do this by highlighting benefits and features, creating an emotional connection by speaking directly to your audience’s pain points, and highlighting desired outcomes of the pains. When it comes to headlines, don’t forget: shorter is better. Jeff Bullas notes that very concise headlines -- those that are 40 characters in length or shorter -- receive nearly 86% more engagement. It’s only 43 characters long and succinctly explains the benefit behind its product for ad agencies. A unique value proposition is a fancy way of stating the promise you are making to your customer. This is the hook that will lead people to click through to learn more versus scrolling on to find the next best thing. Though some Facebook ads may be small, they still need to have a true value proposition. If your offer cannot be read or understood in three to five seconds and doesn’t easily capture how it's better than the competition, then you should not use it. Having no clear value proposition that aligns with your brand and speaks to your consumer will quickly turn away any interest in engaging further. Take the opportunity to survey existing customers on what is resonating, a/b test ad copy and ad formats, and put the time into the creation of a compelling value proposition, and you will realize greater ROI from your Facebook ads. This mistake is something that happens all too often with Facebook ads, and making it has real implications for both your budget and the customer experience. Look at the offer you are about to promote in your ad and see if you can exclude individuals who may have already converted on it. The easiest way to do this is to create a list of those that have visited your offer’s Thank You Page, filled out your conversion or sign up form, or completed a purchase. 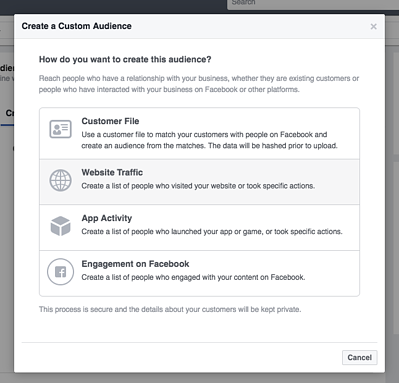 Use Facebook’s Custom Audience option to exclude these individuals from seeing your ad. This way, you’re not wasting money or annoying your prospects and customers. Unfortunately when it comes to Facebook advertising, the way many marketers dip their toes in is by boosting posts and promoting events or content “in the moment”. The challenge with this tactic is that it is a siloed approach with minimal segmentation and targeting options. By focusing on posts that are one and done, you also lose the ability to split test long term content. It is like the last ditch effort of training for a marathon, only to run around the block. Don’t cut yourself short by poor planning and lack of vision. Instead, look for evergreen content that can be tested over longer periods of time. Create ways to nurture your prospects through a funnel using content that appeals to them at every stage of their buying journey. Paid advertising is a powerful tool that can be used to tell stories of brands and people doing big things. If you choose to promote an event or content that is not evergreen, take the time to plan it in advance and create an experience for your audience to go through over time. This means using a variety of ad types, creating dynamic ads, and truly understanding your audience to meet them exactly where they are at. Using ads only to sell products and services or offer discounts is no different than a used car sales person or direct sales person pushing products on you. It feels icky and unnatural. The brands that win create an experience through their Facebook ads using storytelling, relatable creative and copy, as well as an intention that meets the audience where they are at. If you make the mistake of offering discounts to people who should be learning more about who you are and how you have helped others, you will quickly lose their trust and risk turning them off. In addition, Facebook will actually penalize you for low quality content by suppressing your ad. After all, the last thing the Facebook platform wants is to disrupt the user experience. I don’t think I’ve met a marketer who has not been guilty of this at one point or another. While it's easy (and tempting) to set up your Facebook ad and then walk away, only to check on it two weeks later, you should be analyzing its performance on a daily basis. If you’ve set up a proper Facebook ads audience, you don’t want to show them the same ad, every day, for months. This will only turn off your audience and increase your cost per conversion. Don’t be afraid to test along the way. Monitor regularly (daily if possible). The proof is in the data and data takes time. Don’t be impatient to get results. Provide yourself with three days before considering making changes, a week to make the change if absolutely necessary, and a month before pivoting completely. With all things marketing, having 90 days of crisp data to compare what is working and what is not working in order to curate the best strategy moving forward is the ideal timeline you want to have for a successful campaign. This means, when you are approaching a holistic strategy, you are crafting a 90 day roadmap to success. Ensure you budget for this time frame and for goodness sake, do not set it and forget it! Avoid these Facebook Ad mistakes by not approaching your Facebook advertising as a stand alone strategy. Instead, plan holistically with enough time to implement your strategy correctly. Done well, Facebook advertising can take a fair amount of effort. It requires technical set up, creative assets, and approval by Facebook itself before your ads can run. Even with this preparation, your ads may be disapproved, turn off, or be “buggy”. This is why it is so important to go all in and be accountable with what is happening with your Facebook ads and accounts on a daily basis. Be proactive by tracking your ad spend and sharing that data with stakeholders so that they understand the results you’re getting. Stick to your plan for the 90-day duration, test, and then correct. Once you have mastered your first campaign, then take the time to consider other options. When in doubt, hire an expert. The intricacy and robust nature of Facebook ads can bring some of the strongest and lucrative results but there are plenty of chances for you to trip up along the way. 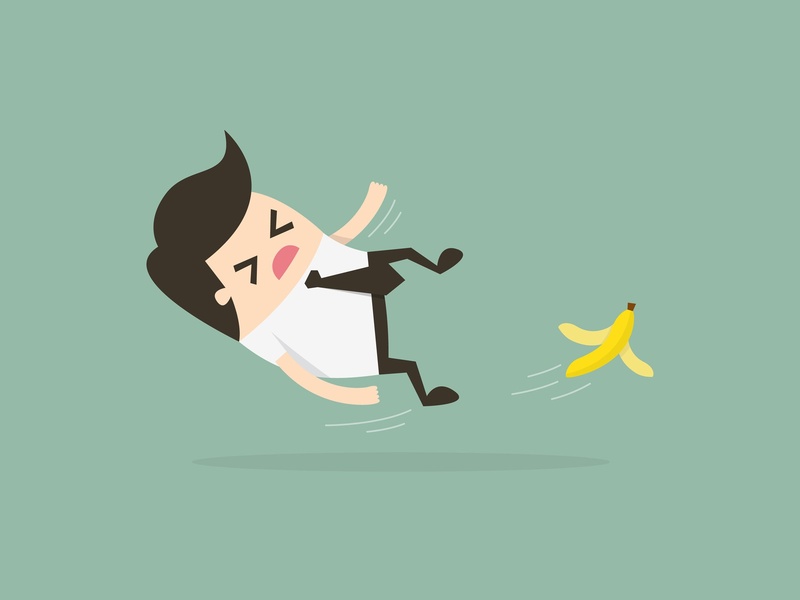 Use these tips to avoid making the same mistakes your fellow marketers have in the past. Not confident in your social media marketing plan? Check out this anthology to get everything you need to know about social media marketing from basics and strategies to campaigns and contests.